It was an easy, seamless process, no hassles. They were quick and nice. I thought they were great. They were knowledgeable and clean. My car was done perfectly and cleaned. They showed me everything they did. I was very satisfied with that. They kept in touch with me. They got the work done promptly and very well. They were very fast in getting the work done. They were very professional and courteous. They were easy to work with. They showed me the part that was damaged when they removed it. I liked that verification. They were able to get the job done fast. 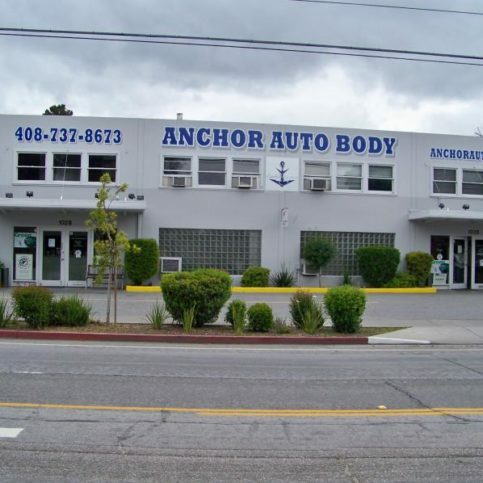 Anchor Auto Body has been fixing cars of all makes and models at its Sunnyvale facility since 1979. The company handles all aspects of auto body repair, from repairing small dents to completely restoring vehicles that have been involved in major collisions. It’s equipped with the latest technology to handle frame measurement, wheel alignment and frame straightening. Owners Tom and Betsy Trago took over operations of Anchor Auto Body in 2004. Mr. Trago is a veteran of the auto body industry since the late 1970s, and his staff consists of experienced mechanics, technicians and painters. The company continually remodels itself to include the latest equipment for vehicle reconstruction and claims handling and ensure it’s compliant with environmental laws. For example, the company follows up with every customer to confirm their work is holding up well and, if there are problems, will quickly correct them. In addition, rental cars are kept on site and made available to customers. 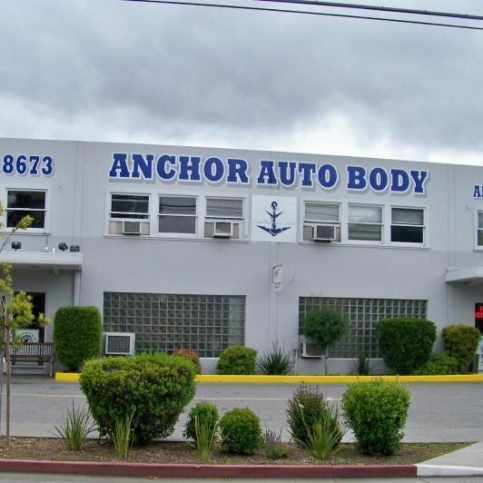 Founded in 1979 as a two-person operation, Anchor Auto Body was taken over by Ms. Trago and her husband, Tom, in 2004. 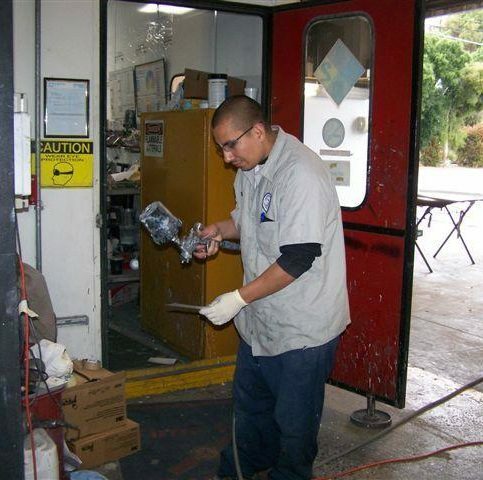 With its 29 employees, 12,000-square-foot facility and 10,000-square-foot storage yard, it’s now one of the best known and well-regarded body shops in the Sunnyvale area, says Ms. Trago. Car-O-Tronic, a high-precision Swedish computerized measuring system, is suitable for symmetrical or asymmetrical unibody structural dimensions, including the upper body. The Computerized Hunter Wheel Alignment System provides before and after specification printouts. Heavy trucks, vans, RVs and vehicles involved in major collisions are serviced on a custom-built Kansas Jack. Medium collision damage is serviced on a Viking Frame System. Light pulls are handled on a Convertible Floor Pot System. With three side-post overhead hoists and other specialty tools, Anchor journeymen technicians always have optimal access to your car for inspection and repair. All work adheres to nationally-recognized procedures and therefore conforms to the highest industry standards. Anchor Auto Body includes the latest in spray booths, featuring a state-of-the-art, down-draft forced-air drying unit as well as a side-draft jamming booth. 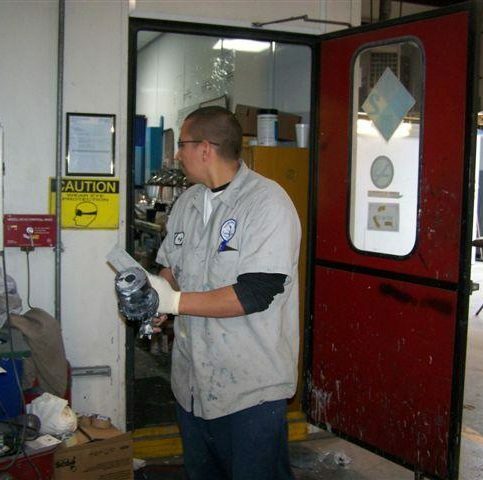 To ensure all vehicles are refinished to factory standards, Anchor Auto Body uses DuPont’s computerized Colornet (a network smart scale/computer system). 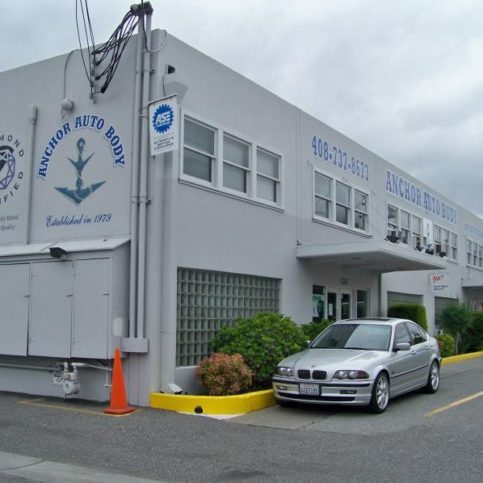 Anchor Auto Body is particularly attentive to detailing and delivers every vehicle sparkling clean, explains Ms. Trago. Don’t let your insurance company tell you where to have your vehicle repaired. In many cases, your insurance carrier has entered into a contract with a given repair shop and, in exchange for steering work there, receives a discount. The problem, of course, is that the shop needs to make a profit regardless, so it has an incentive to cut corners to keep costs down. In this case, you actually end up with a substandard repair. Whatever incentive (or warning) you hear from your insurance company, you have the right to choose a body shop you trust. As you evaluate a shop, ask to take a tour. Cleanliness is important—if they’re sloppy about their own facility, they might be sloppy about their work as well. See how the staff behaves and how they’re dressed. The shop should also be well lit, which makes it easier to spot imperfections in the work. None of these cues are definitive, but together they’ll add up to—or detract from—an overall impression of competence. It’s a good idea to ask to see cars that have recently been repaired and evaluate the work. Are all the panels aligned correctly? Ask to see a part that was painted and look for bubbles or dirt trapped under the paint. The best resource for finding a good body shop is the Diamond Certified Directory and website. From there, good old-fashioned word of mouth is key. Ask a friend who had work done and was happy with the results. You can also try your local automotive paint supply store. They visit large and small shops all the time and may have suggestions. Q: Can Anchor Auto Body give me a ride back to work or home? A: Yes, we have a shuttle service. Q: Can I pick up my vehicle on a Saturday? A: Yes. We’re open from 10 a.m. to 4 p.m. on Saturdays. Q: What if I leave my vehicle overnight? Is it completely secure? A: Absolutely. We have surveillance cameras and wire fencing. We lock everything up, and we actually bring most of our vehicles inside after hours. Q: How’s your waiting area? A: We have a customer lounge with a TV and a computer, so you can check emails or play games. We have bottles of water, coffee, tea, magazines, and coloring books for the kids. We like our customers to feel comfortable and at home. SUNNYVALE — If your car’s exterior gets scratched, you may think the only solution is to repaint the area. However, when it comes to minor surface scratches, most can simply be polished out. An easy way to determine if a scratch can be polished out is to run your fingernail across it. If your fingernail drops into a groove, this indicates a deeper scratch that will likely require additional paint. If, however, your fingernail brushes seamlessly over it, it means the scratch hasn’t penetrated the paint coat and there’s a good chance it will polish out. To polish out a scratch, apply a small amount of rubbing compound to a rag and rub it vigorously over the affected area. After just a few seconds of polishing, it’ll appear as if the scratch had never been there. SUNNYVALE — Host, Sarah Rutan: If you’ve got an unsightly scratch on your car, getting rid of it may be easier than you think. 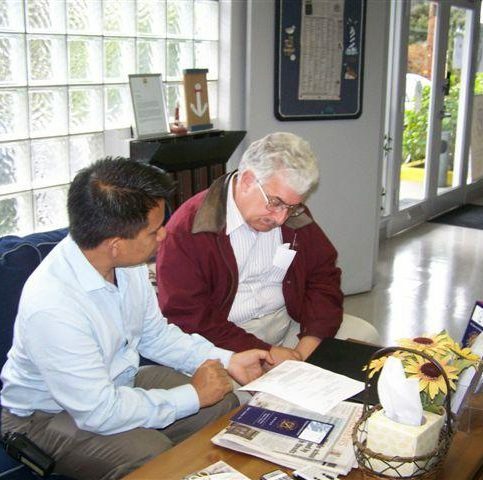 Today we’re in Sunnyvale with Diamond Certified Expert Contributor, Tom Trago of Anchor Auto Body to learn more. Diamond Certified Expert Contributor, Tom Trago: Hi. I wanted to show you guys a way that you might be able to tell if a scratch would be able to polish out instead of requiring paint. And the way to do that is if your fingernail drops into the crevice of the scratch, a good chance that it’s not going to polish out. But if it just kind of brushes over the top, a very good chance that it will polish out. And I have a little rubbing compound here and this happens to be a finer scratch. There was not really a crevice on it, and I’m just going to take and see if we can remove that from the surface with just a little polish work here. And just give me a second or two and let’s see what that looks like. So, you can see that kind of cleaned up actually pretty good. Now the deeper scratch, you can feel that with your fingernail. There is a crevice there, obviously, that one’s not going to polish out, but the lighter ones they came right out. Anchor Auto Body : Average 9.5 out of 10 based on 537 unique customer surveys of customer satisfaction. That they assign a specific customer service person who takes care of the whole process, and the communication was good. They are really good and they do a good job. The fact that they get back to you, that is important to me. They are very customer friendly and knowledgeable. They are outstanding, just stellar. The front office staff as well, they are high caliber. The customer service, just the way they treat you. They are very professional and outstanding. Very professional, and that location is very clean. I didn't have a lot of interaction, but they were very nice. They did everything as they said they would and they correctly estimated the time that it would take to complete the job. They were upfront about the cost and how long it would take. They are a very good company and we relied on them for the repair of my car. They are friendly, and they greeted us when we got there, a very friendly atmosphere. They are absolutely helpful and professional with what they did. I liked all of it, except I wished that they had more parking out front. They were quick and they did a great job and they kept us up-to-date. They are awesome, efficient, and very fair. They are very professional. They are the best auto body shop around, and I have used them for many years. I have also referred many people to Tom, the owner. They provide the best service, and the best customer service. I would say their great customer service. They get the job done with outstanding quality. They are very responsive, they suggested other options for me, and provided service of the highest quality. I would say, their customer service and the quality of their work stood out for me. They are a good company, and they did a very good job. They provided good customer service. They were also very fast, and on time. I really liked my agent. Mercury Casualty actually recommended them. They are their go to company, and we know why. I have used them twice, and I would highly recommend them. We were just thrilled with them. They were excellent, and I have used them for many years. They are very personable and just good people. I would say, if you're around the area, if they come up in the Google search, I would go with them, they are a good place to get your car repaired, they are very nice. The daily updates about the repairs with pictures and all.